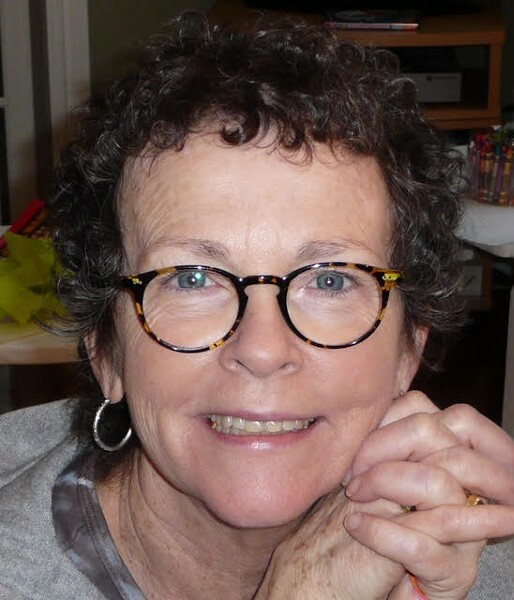 Susan Ellen (Fitzgerald) Osmond, 68, passed away at her home in Marshfield, Vermont, surrounded by the family and friends she loved and the mountains and lilies she adored. Sue was an accomplished artist, who – after graduating from Boston College – started out as a registered nurse before becoming a textile designer and then prolific painter. She was particularly noted for her oil paintings, which were displayed in galleries and purchased by private collectors around the country. Sue was also a successful gardener and will be remembered by everyone who knew her with a smile on her face in her garden at full bloom. Despite her many accomplishments, Sue will be most remembered for her joy and eternal optimism and perhaps for her mantra, “it’s only money,” money which was so often spent to make others happy. Sue was born in Milford, Massachusetts to Thomas Fitzgerald and Lilly (Schlessinger) Fitzgerald. She grew up in Whitinsville, Massachusetts before living in several states, including Arizona, Alabama, Georgia, Connecticut and New York. She lived for many years in East Aurora, NY, where she raised her family. For the last 26 years, she resided in Marshfield, VT, using it as base from which to travel extensively both around the US and internationally. Her favorite vacations typically involved a beach. She is survived by her husband, Rob Greene; her sons, Tom (Tina) and Pete (Jane); her daughter Emily Harris-Greene (Ben Wheeler); and her sisters Karen DuPonte (Charles) and Lilly Fitzgerald (Dennis); three nieces, Kate (Worthington) Poitras, Lucy Fitzgerald, Nell Fitzgerald and a nephew, John Worthington. She is also survived by five grandchildren: Jack, Thomas, Ailis, Mallory and Fitzgerald, and she was thrilled to learn – just days before her death – that her sixth grandchild is on its way, due in August. Sue often said that of all the cancer treatments she received, the Drug Desensitization Unit at Brigham and Women’s Hospital was the most caring, supportive and outstanding. Gifts in memory of Susan Osmond can be made through Dr. Mariana Castells, Director, BWH Drug Desensitization Program, 1 Jimmy Fund Way, Smith – 6th Floor, Boston, MA 02115. Online donations can be made at giving.brighamandwomens.org/donate-16XXWN; please change the “Designation” field to Other and type in “Dr. Castells” and the donation will be channeled to the Unit.